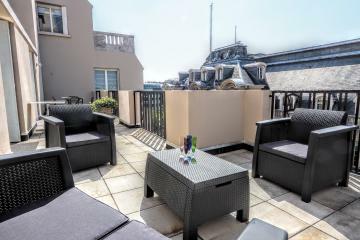 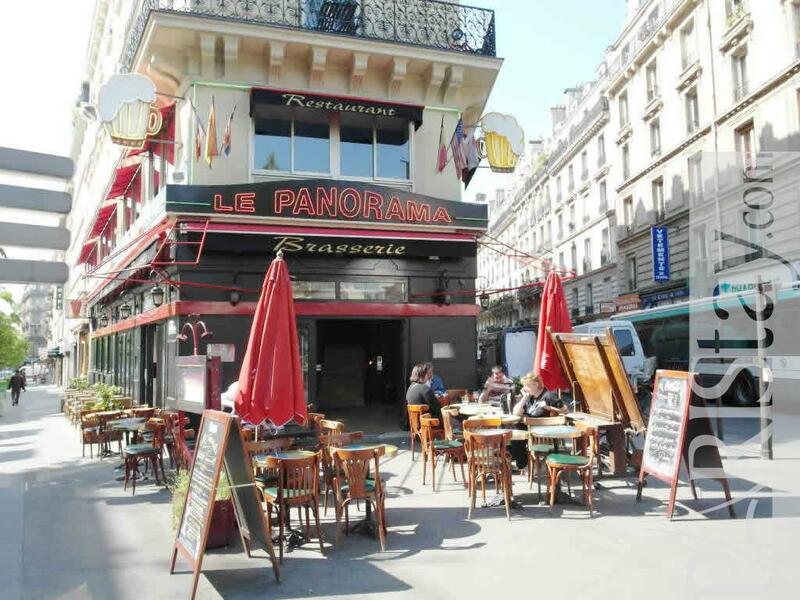 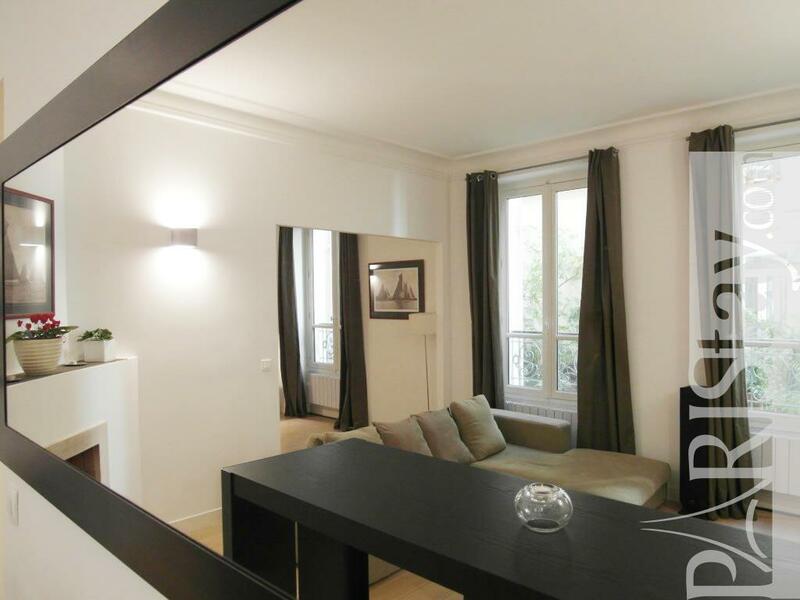 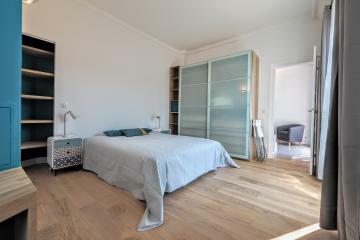 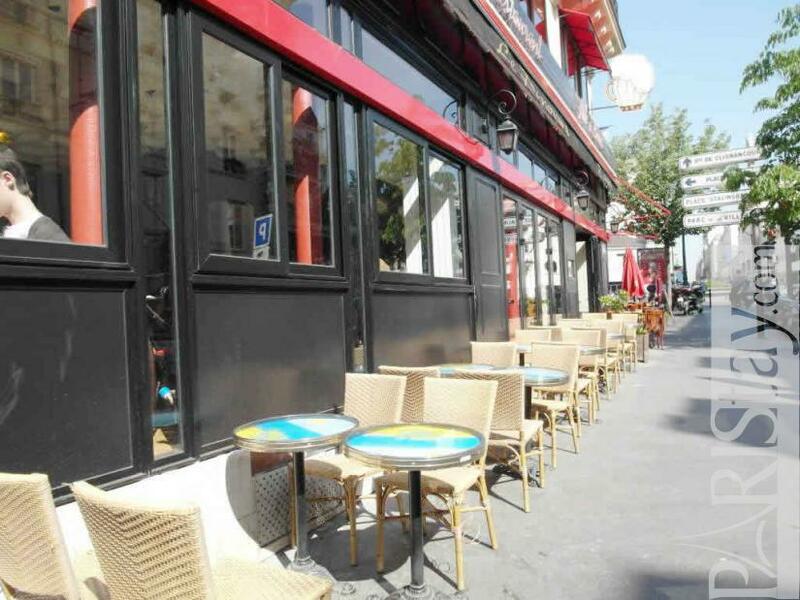 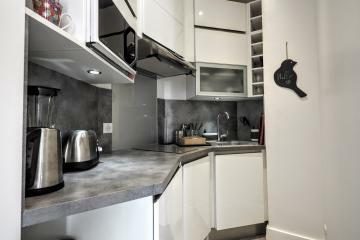 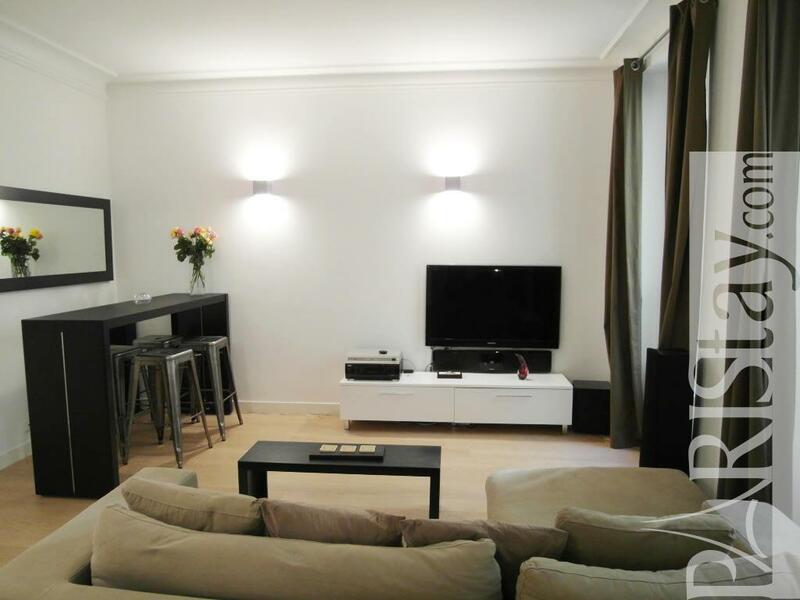 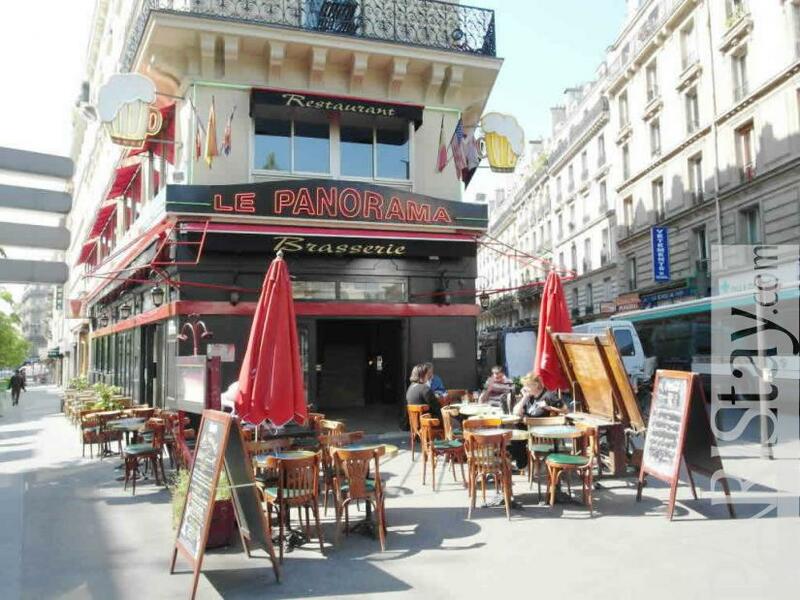 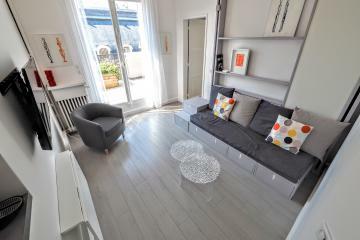 This Paris 1 Bedroom apartment is located in the 9th arrondissement at walking distance from both the famous Montmartre area and the Galeries Lafayette/Opera, 5mn taxi from the main train stations (Gare du Nord, de l’Est, Saint-Lazare). 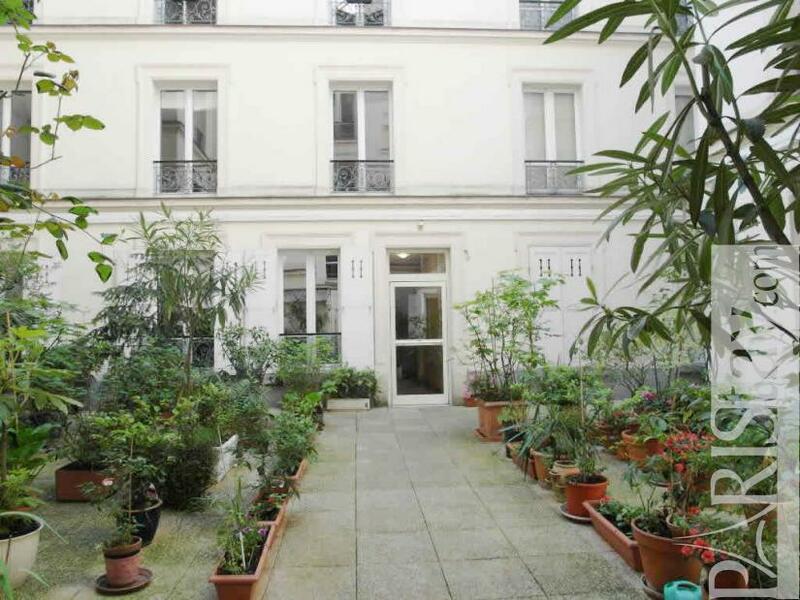 In an old building with a pretty, well-tended green courtyard, there is a guardien which it is very practical. 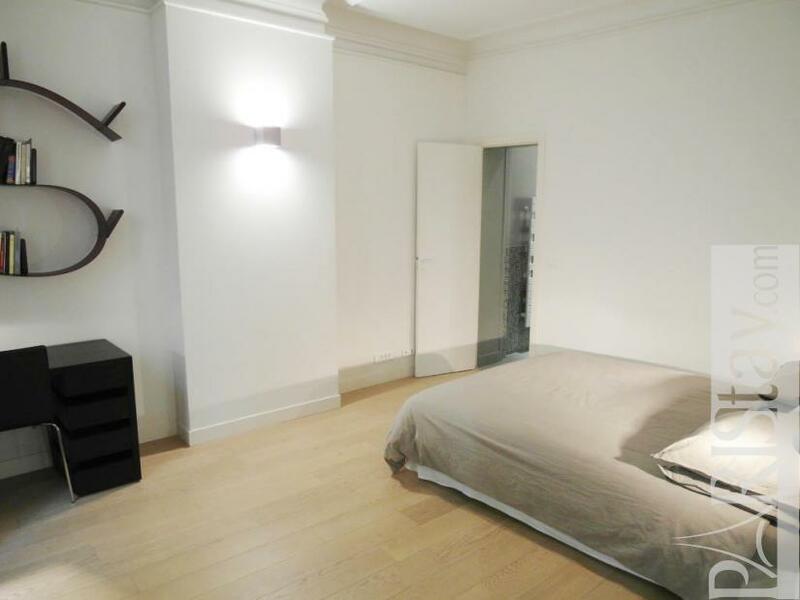 The apartment combines the charm of a classical Parisian apartment to a recent renovation of modern design, quality and materials. 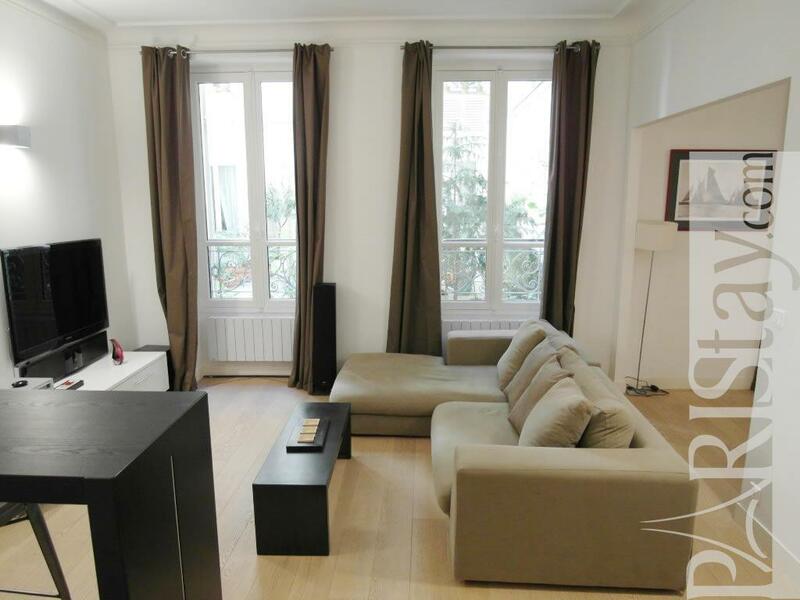 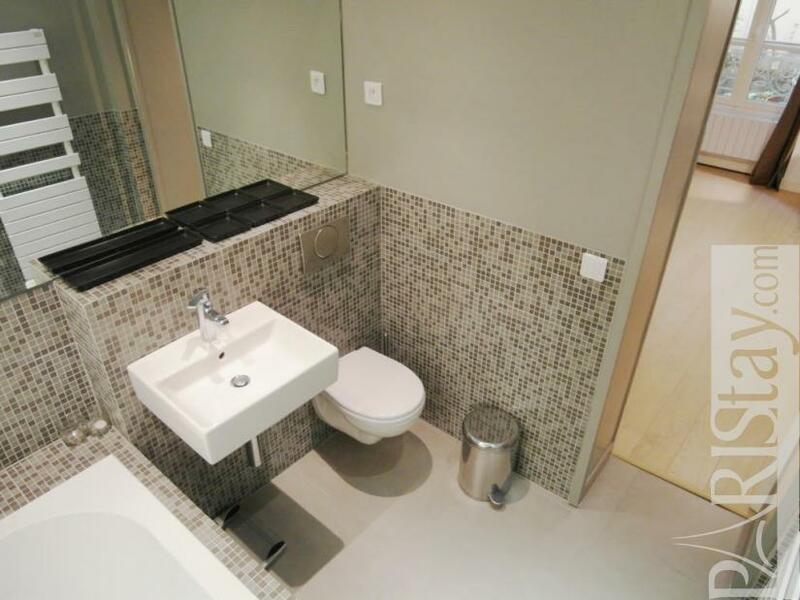 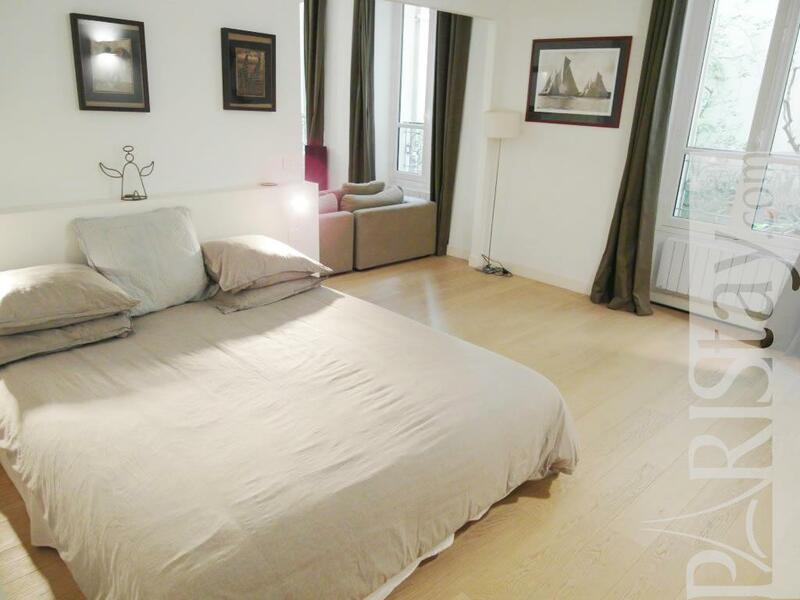 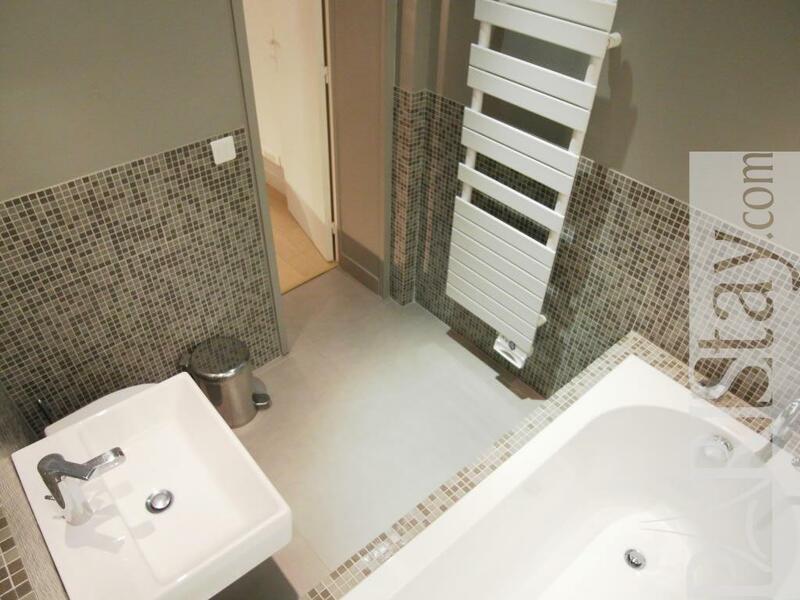 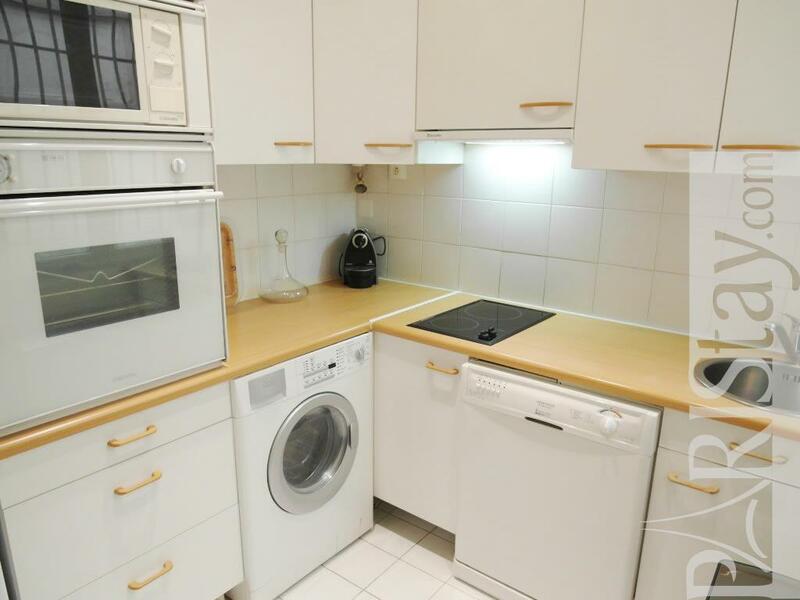 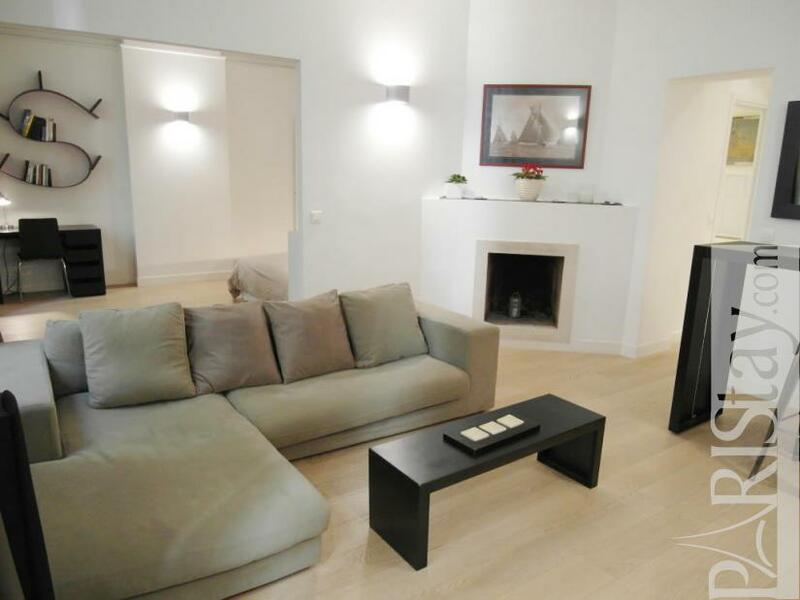 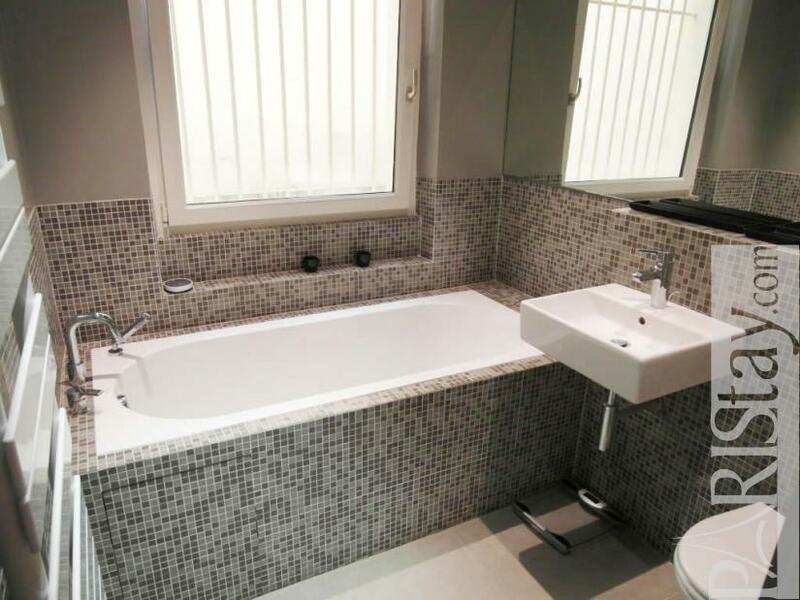 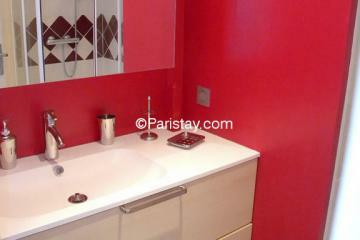 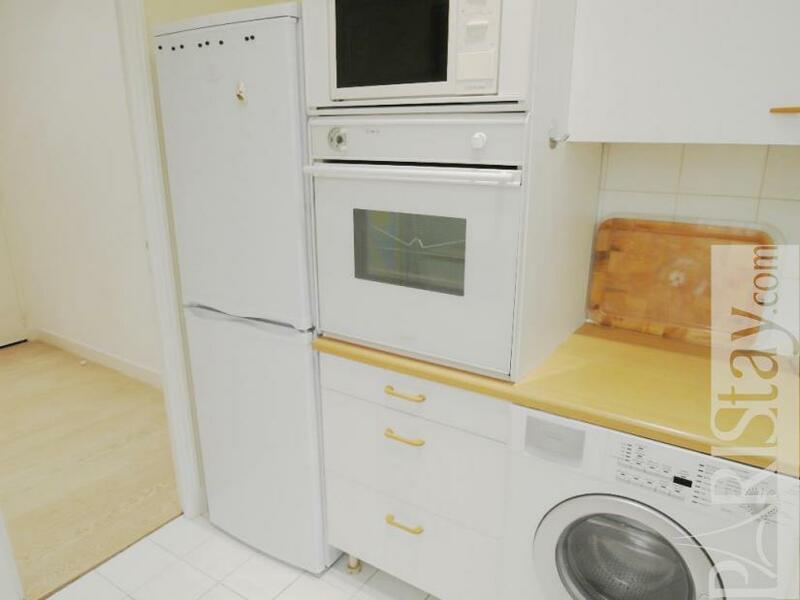 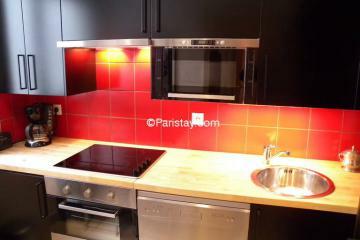 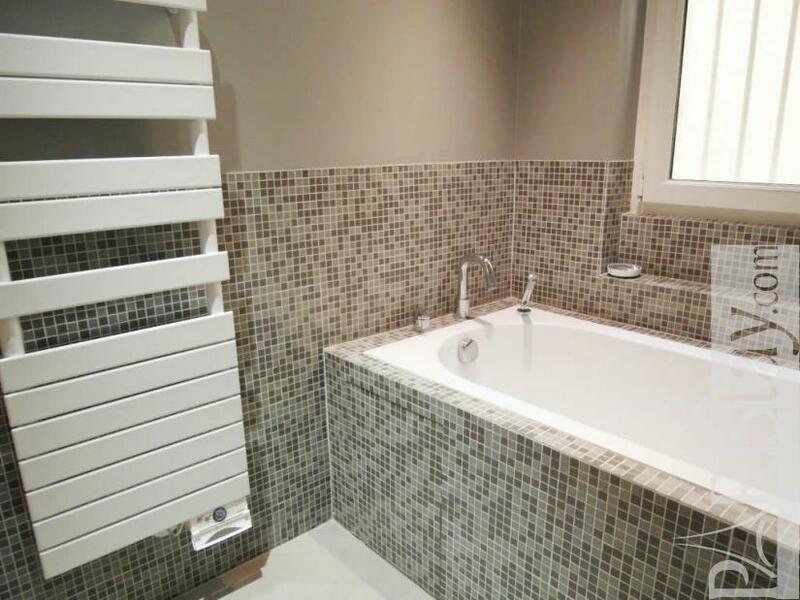 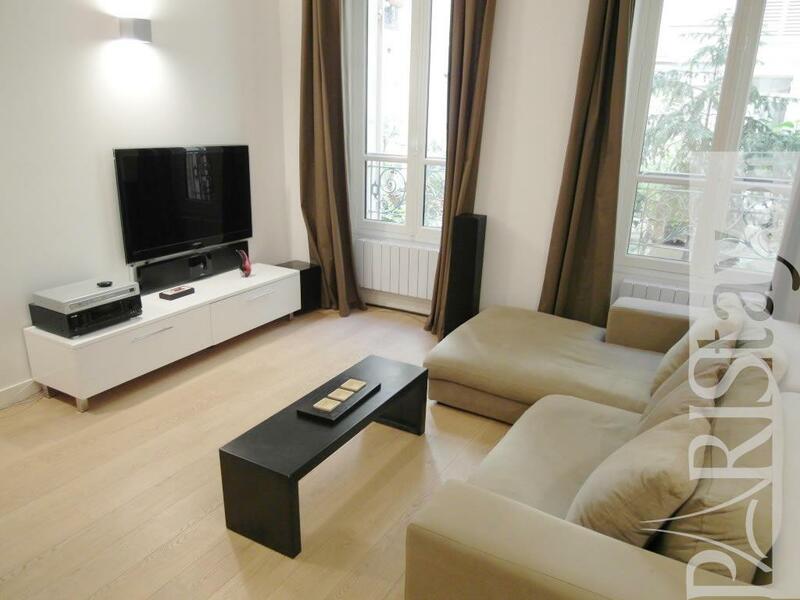 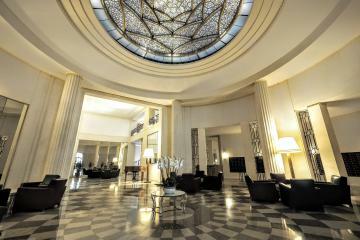 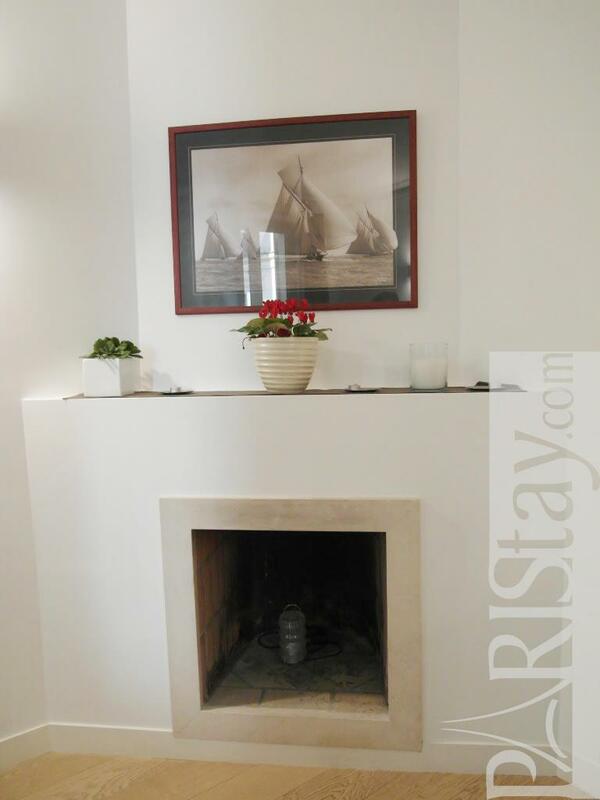 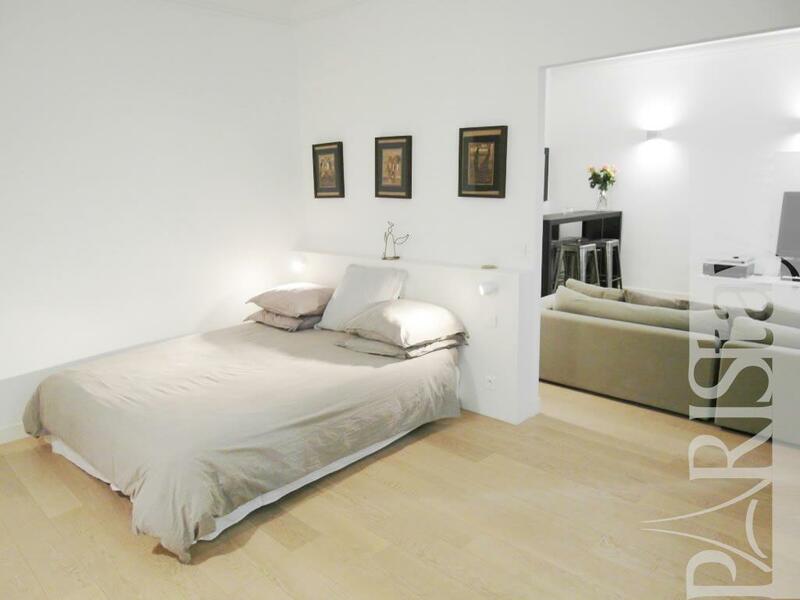 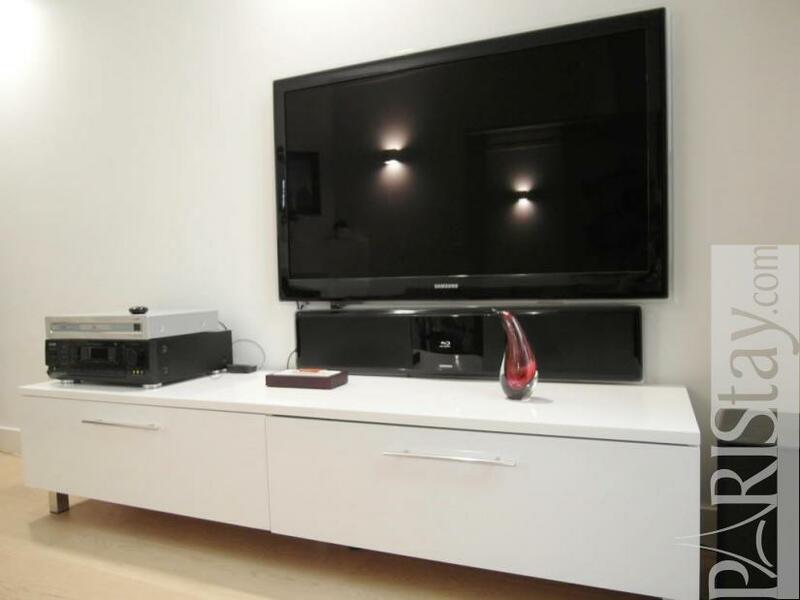 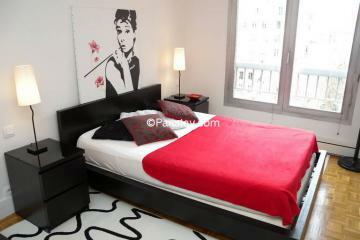 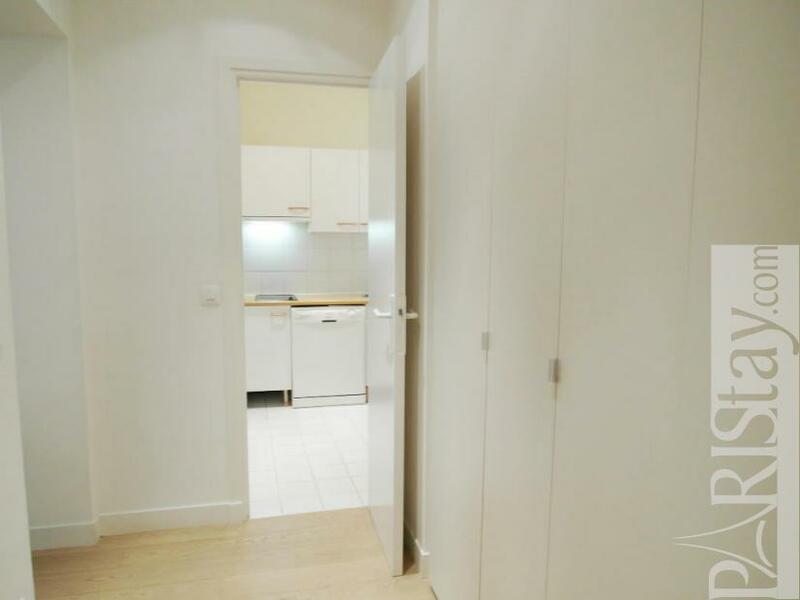 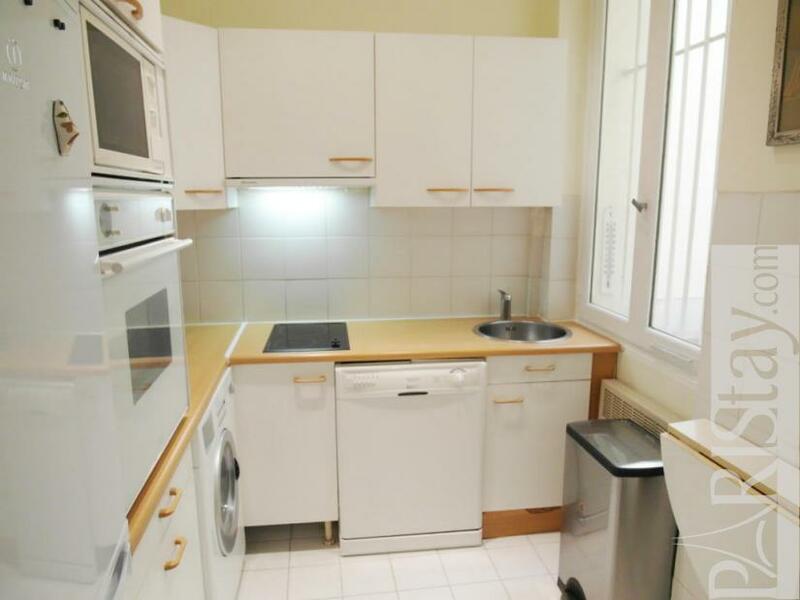 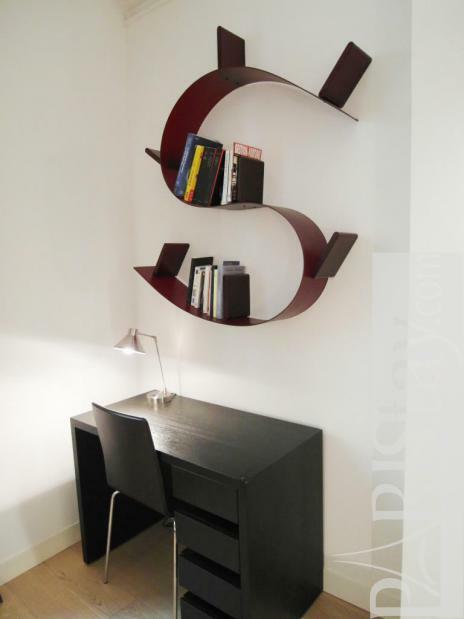 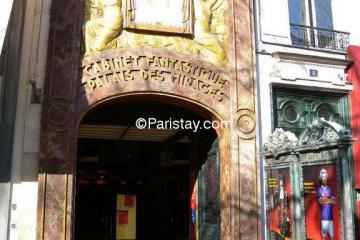 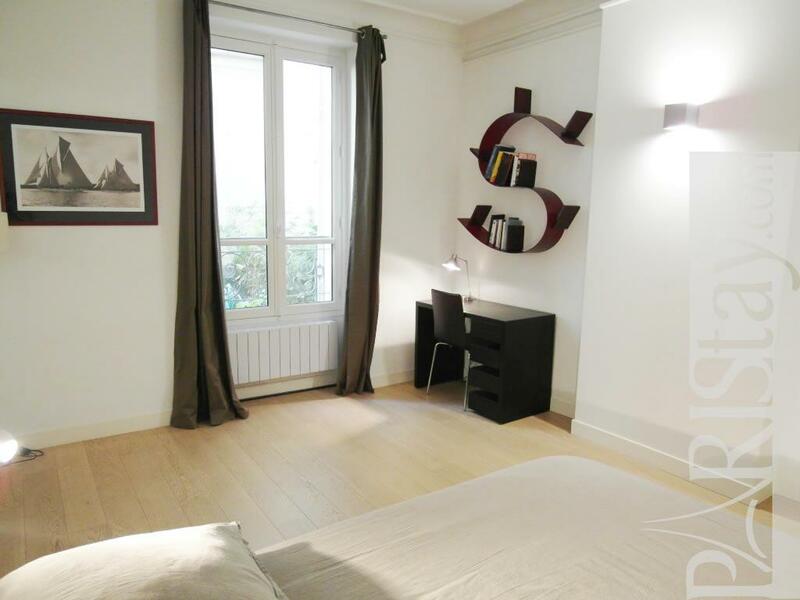 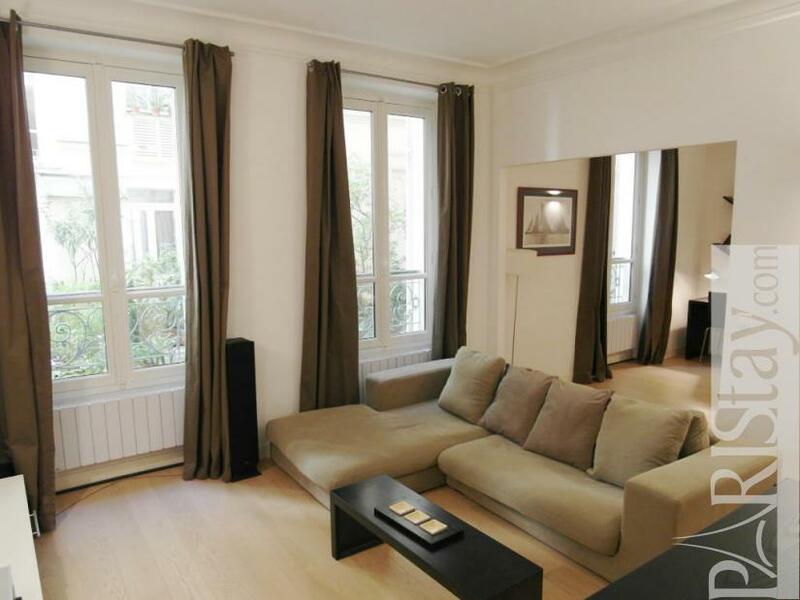 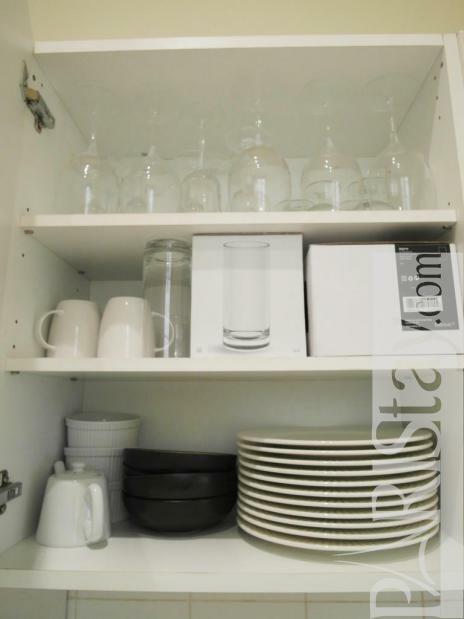 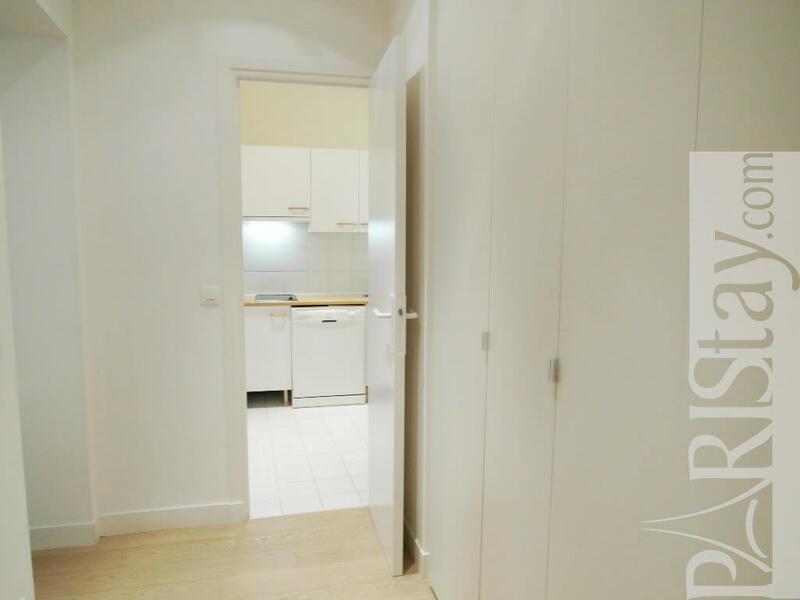 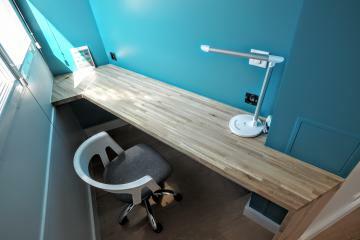 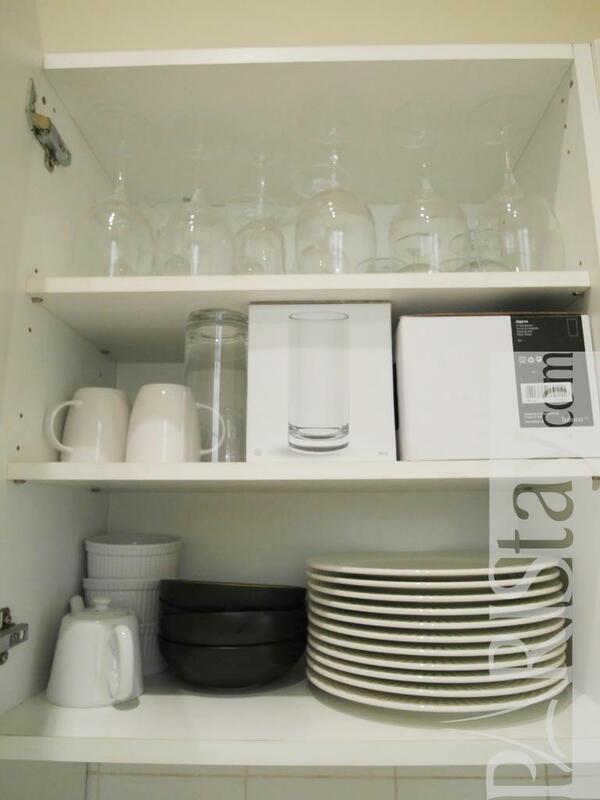 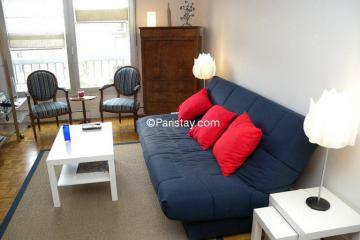 The apartment is very well-equipped with all you need for a long term Paris rental. 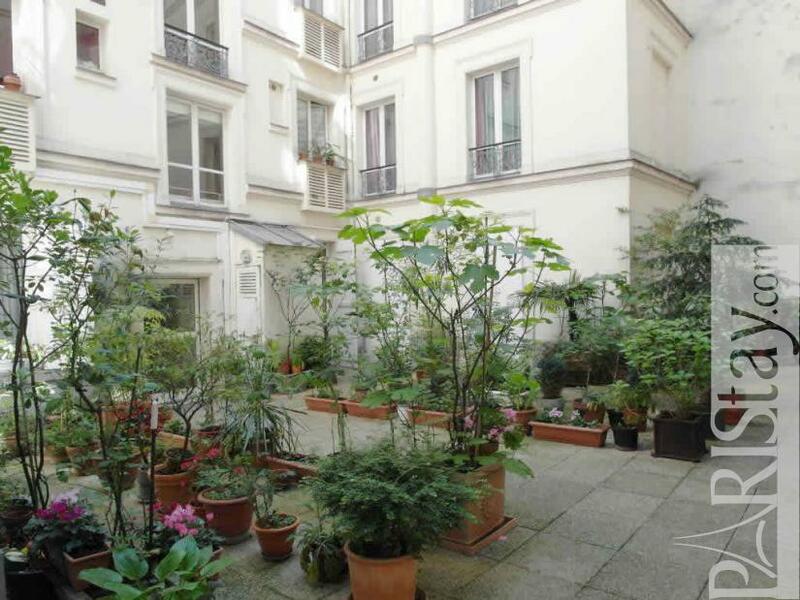 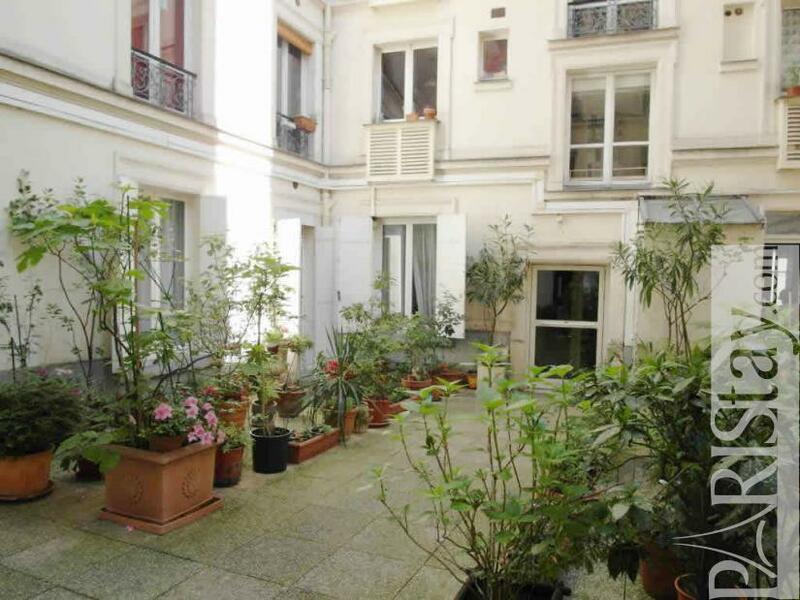 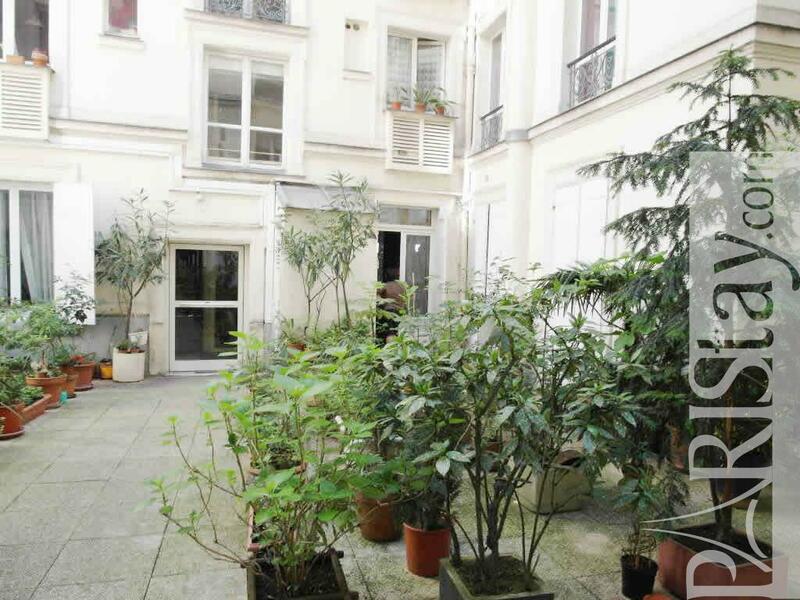 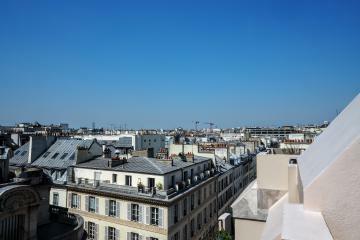 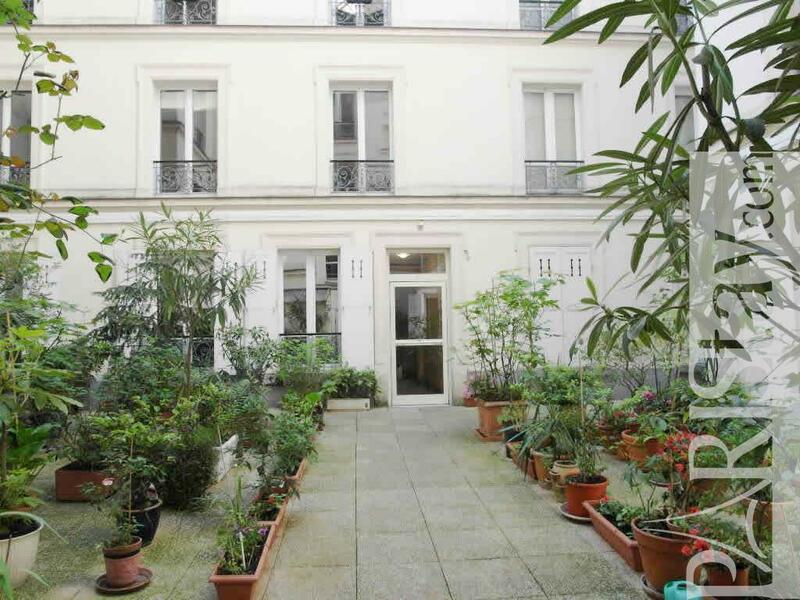 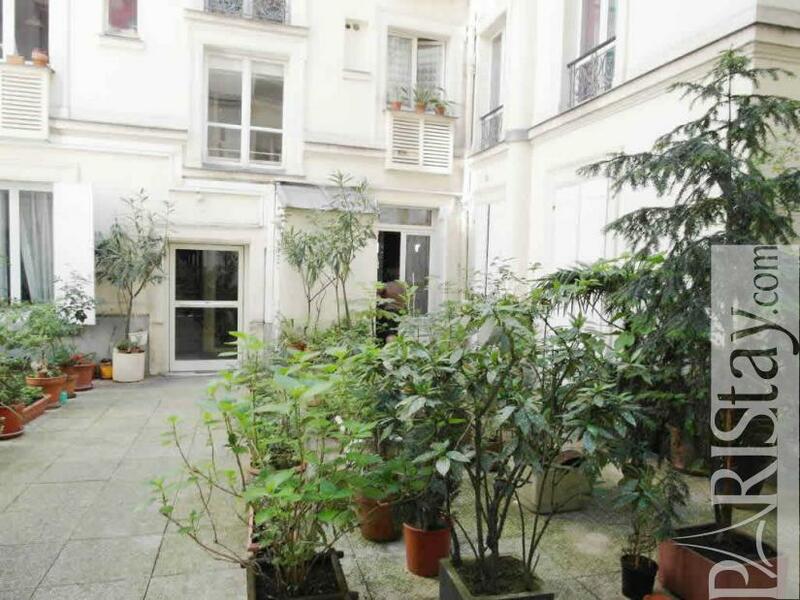 Located on the ground floor facing a quiet green inner courtyard this flat in Paris is a nice pied a terre. 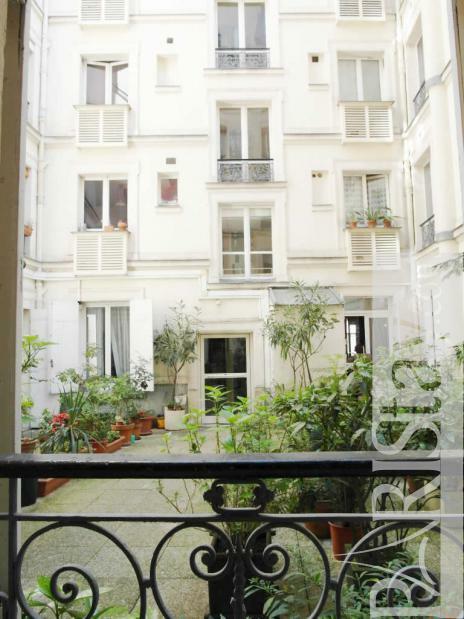 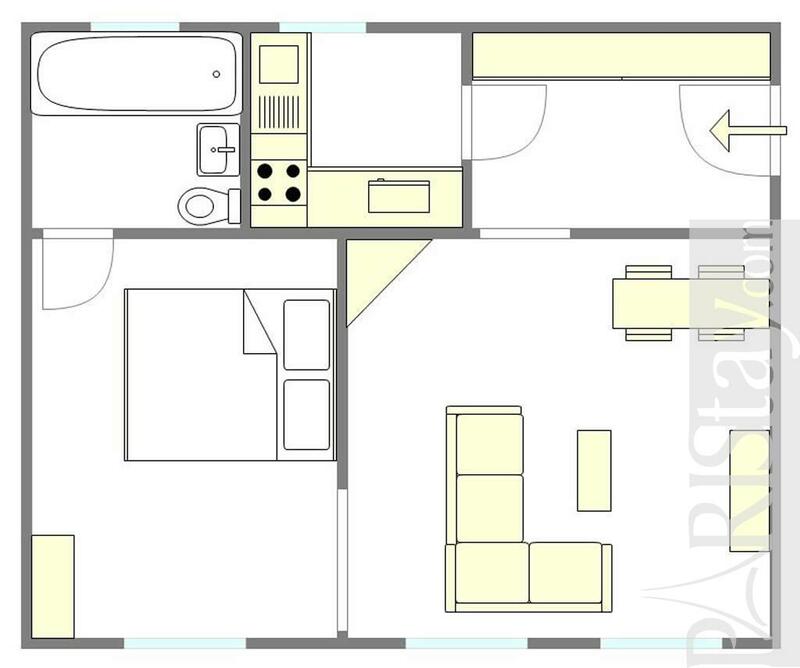 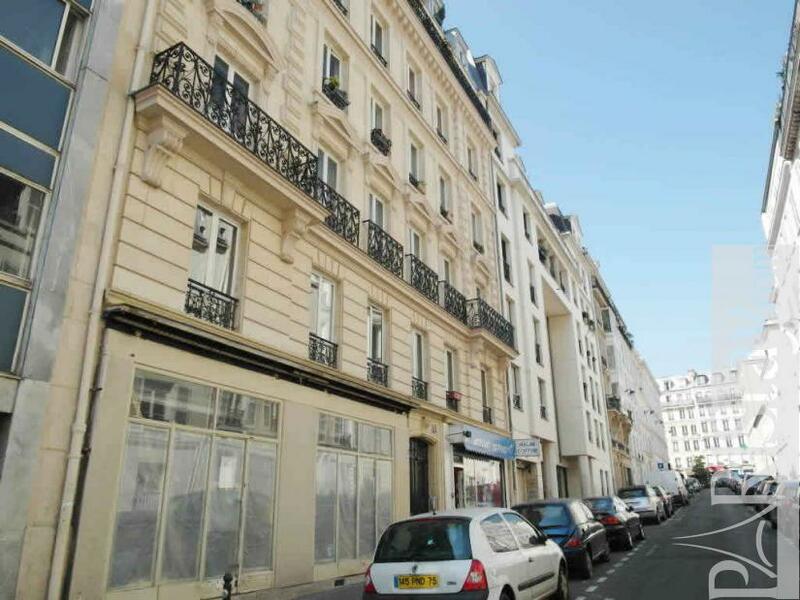 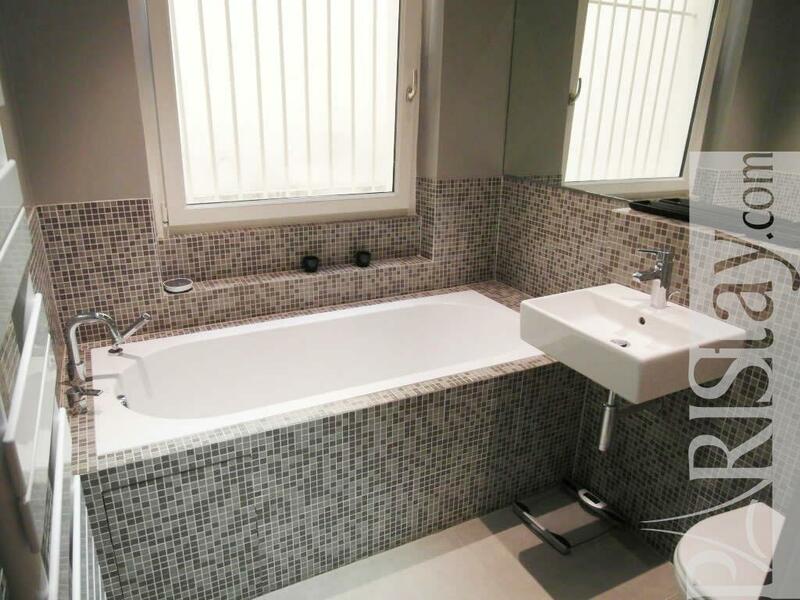 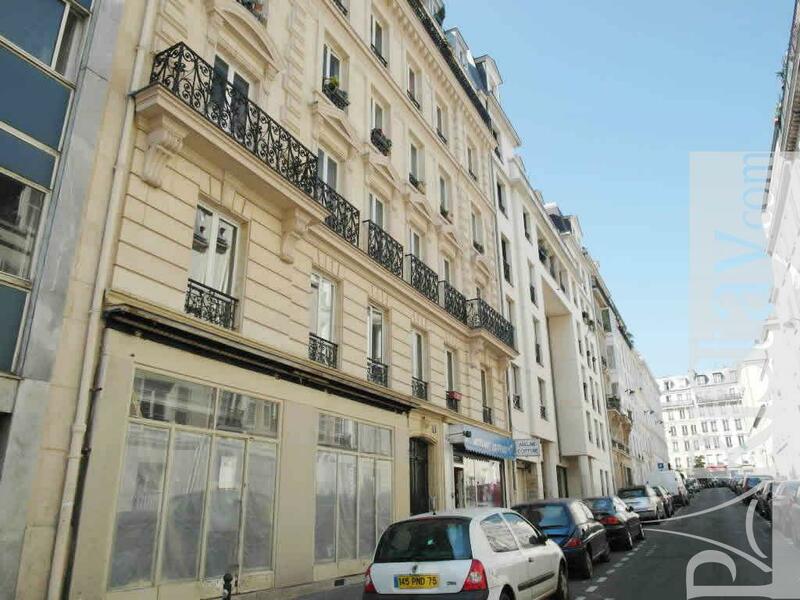 Early 20th's Building, ground floor, without Lift, entry code security system, 1 bedroom Appartement, furnished, Approx: 47m² / 505 Sq.Ft.